Viknesh Vijayenthiran April 25, 2012 Comment Now! 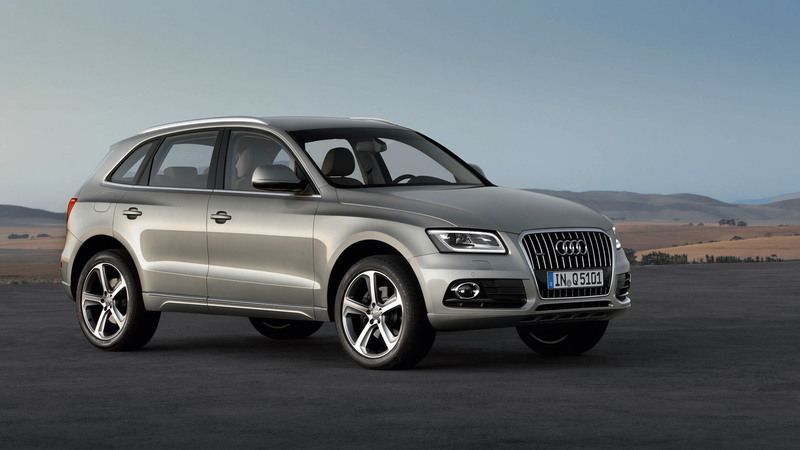 Audi has unveiled its updated Q5 crossover, which is expected to land in showrooms later this year as a 2013 model. While on the outside there isn’t much to mention, there are numerous changes under the skin including a revised engine lineup that now features a hybrid option. 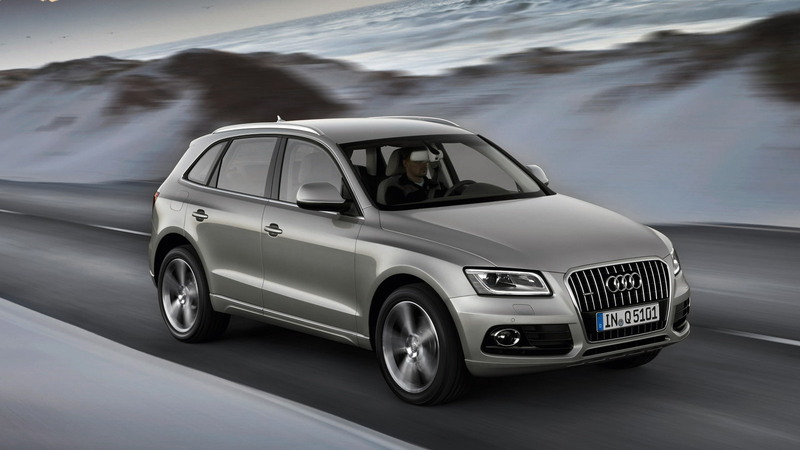 For the global lineup, the 2013 Audi Q5 comes with six powertrain options: three TDI turbodiesels, two TFSI gasoline engines and the aforementioned hybrid. All of the powertrains combine direct fuel injection with forced-induction technology, as well as a stop-start system for optimized fuel economy. And while most of the engines have enhanced performance, their fuel consumption values were reduced by up to 15 percent. 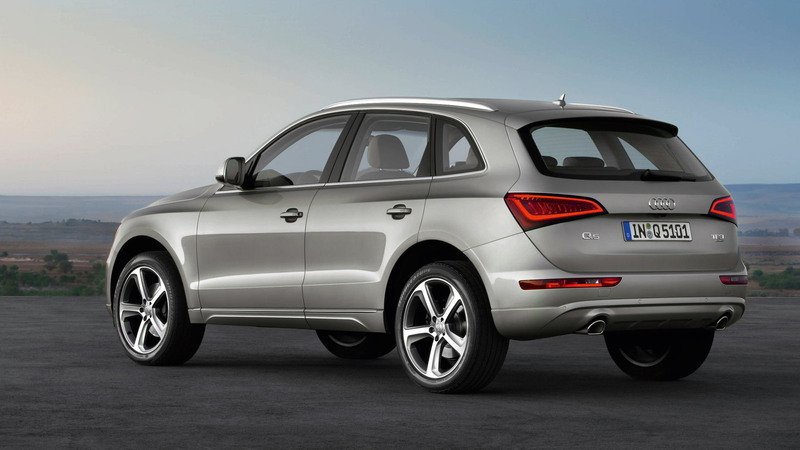 In the U.S. the 2013 Q5 lineup should still feature a turbocharged four-cylinder engine as the base option but a new supercharged V-6 as the range-topper. In between, a new hybrid version pairing a turbocharged four-cylinder with an electric motor should be launched in the near future, though Audi is yet to confirm its arrival. An eight-speed automatic should remain standard, while in other markets buyers also have the choice of a six-speed manual or seven-speed S tronic dual-clutch. Also available are front-wheel drive and quattro permanent all-wheel drive configurations. As for the base four-cylinder engine, it’s a turbocharged 2.0-liter TFSI rated at 225 horsepower and 258 pound-feet of torque. The V-6 is a supercharged 3.0-liter unit that replaces the former 3.2-liter engine and produces 272 horsepower and 295 pound-feet of torque--enough to accelerate the Q5 from 0-60 mph in less than 6.0 seconds. 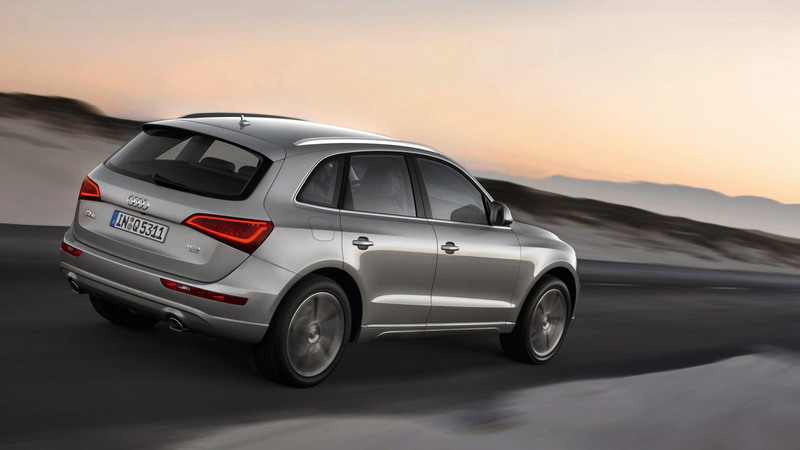 The Q5 Hybrid, meanwhile, pairs a turbocharged 2.0-liter TFSI engine with a compact electric motor. The two are connected in parallel via a highly-modified eight-speed automatic transmission, which sends drive to the wheels without requiring a torque converter--its mounting space is taken by the electric motor, which is combined with a multi-plate clutch. A compact and lightweight lithium-ion battery system with 1.3 kWh energy capacity stores electrical energy, which is recovered during braking. 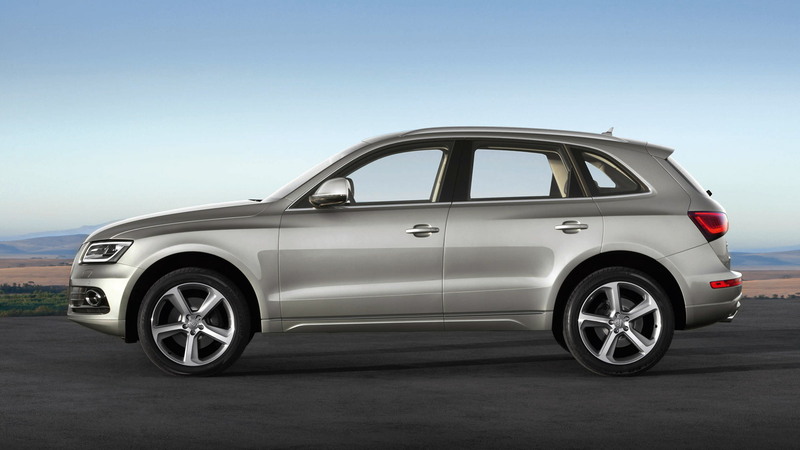 Total system power of the Q5 Hybrid is 245 horsepower and 354 pound-feet of torque. The vehicle promises 0-60 mph acceleration in around 7.0 seconds and a fuel economy of up to 34 mpg on the European combined cycle. Note, stricter EPA figures are likely to be lower. Visually setting apart the new 2013 Q5 from previous model-year versions are revised headlights and bumpers, a wider availability of color options and new wheel patterns. Inside, there are new trim options, a revised center console plus a broad selection of new infotainment features. Positioned at the top is a Bang & Olufsen sound system with Audi’s MMI navigation plus system, which incorporates a large hard drive, seven-inch color monitor, 3D graphics and a DVD player. Another new feature is the smartphone app Audi music stream. Q5 drivers can use it to receive more than 5,000 Internet radio stations, and they can save their favorites to their cell phones. The selected program accesses MMI navigation plus via WLAN, and its audio signal is output over the audio system loudspeakers.